Creo: 4 Week Comprehensive Workshop is four entire consecutive weeks focusing on learning Creo. This course prepares participants with skills necessary for employment using Creo. 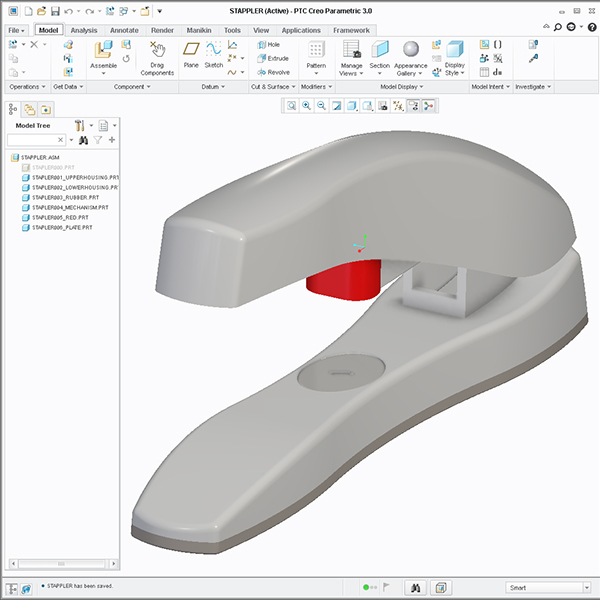 Topics: Creo Level 1 is a one-week introduction to constraint based modeling assembly and drawing utilizing the latest release of PTC Creo. 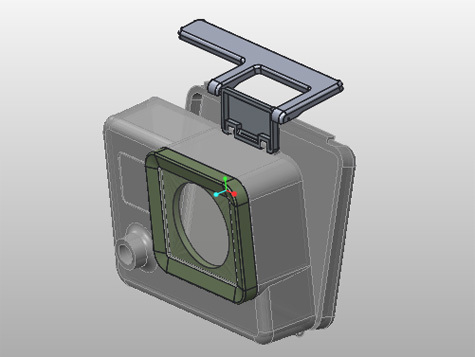 Learn the basics of Creo part and assembly modeling in this portion of the four week class. Read the course description. 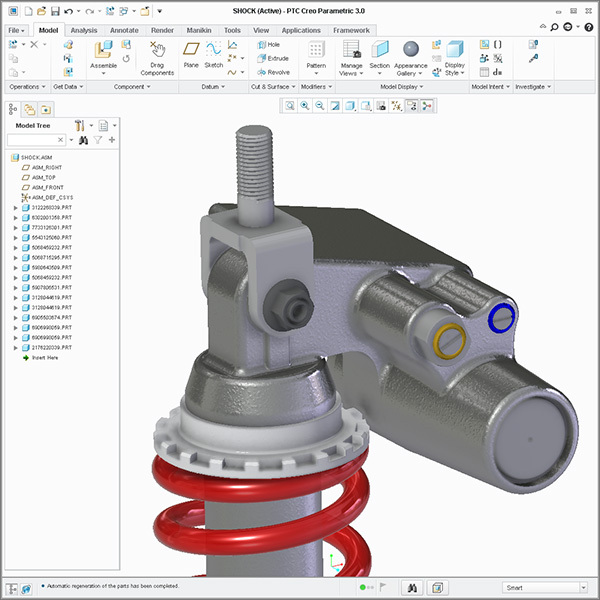 Topics: The Creo Level 2 participants will learn to prepare detail drawings with modern drawing standards and learn more about the advanced assembly tools such as simplified reps and top down design. 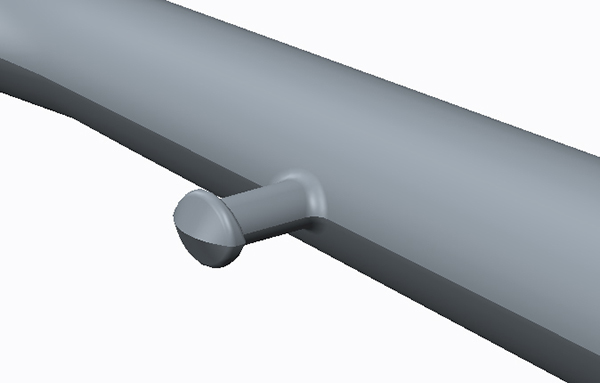 Also in week two you learn sheet metal in Creo and part of the Mechanism class. Read more on the link. elect to go on to take surfacing while others take the manufacturing week long Creo training class that covers diecast, plastics, and forgings manufacturing process and modeling techniques. 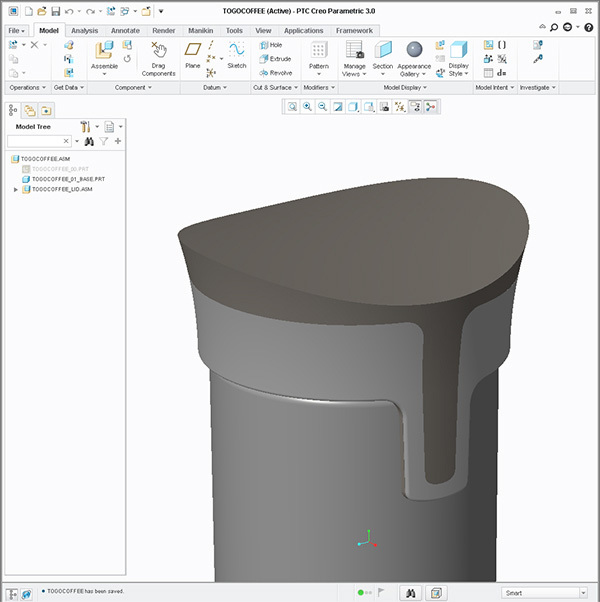 Topics: Creo Surfacing. 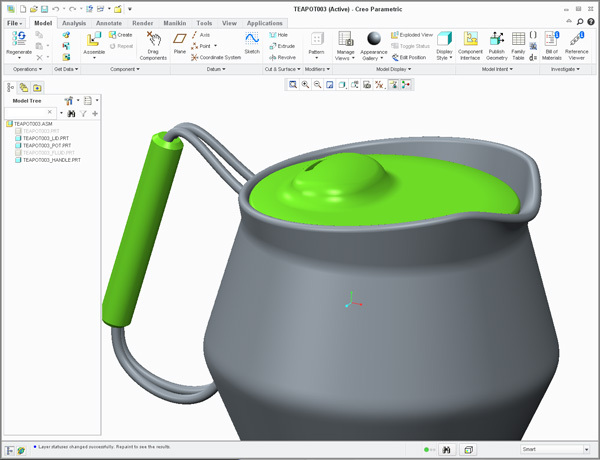 This week-long Creo Surface intensive has been specifically designed to work for those interested in gaining a high level of Creo Surface modeling and Creo Style usage all in one week. This is one of Design Engine’s most popular classes. The Four-Week Comprehensive Creo training course is our most popular because everyone who takes this course learns Creo at a high level in a short time. Participants include Product/Industrial Designers and Mechanical Engineers. The great part of our four-week program is that the participant sets the pace as we steadily apply new or advanced tips and techniques that prepare participants for future opportunities. You will have an instructor there to assist you every step of the way, preparing you for when you are creating on your own. When a designer or engineer comes to us for training we focus the class on what they want to do with their ultimate Career; transmissions and die cast, sheet metal, plastics, packaging, bottles, large assemblies, consumer products, or engines. Our instructors are ready for anything so the opportunities strong for employment. Introduction to constraint based modeling, assembly, detailing & making changes utilizing the latest release of Pro/ENGINEER. This Creo training course is developed for new users who want to become proficient learning Creo in just four weeks. We help you learn Creo not read to you from an exercise. In this course we help design engineers learn how to make changes quickly to set them up for becoming expert faster. As with all Design-Engine classes participants keep the training material login and password for life.